I don't really think much of Purses, you know being a male and all, but when I saw these I thought they were pretty cool. I found these up at Converse.ES which the Converse Spain's website. 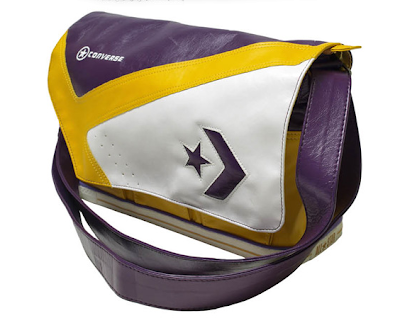 They've taken the classic Magic colorway of the Weapons and made it into a purse. That's it for today, thank you for checking out the blog and remember to follow along on twitter! @TheConverseBlog.